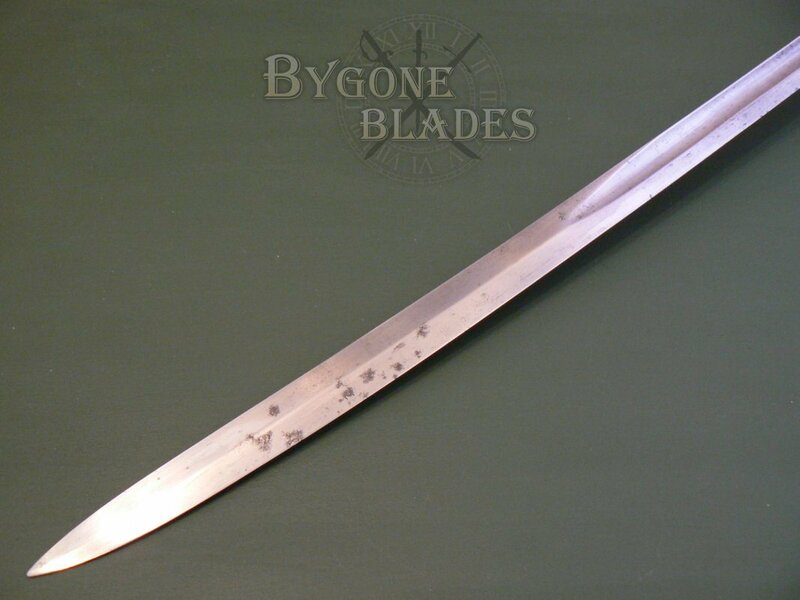 The 820mm slightly curved blade has a broad spine and a single, wide fuller on both sides. 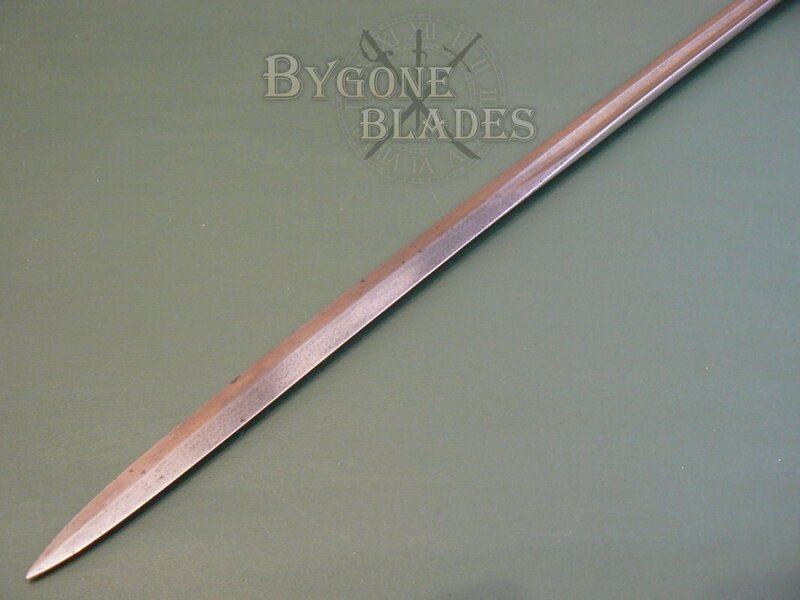 The blade terminates in a spear point. 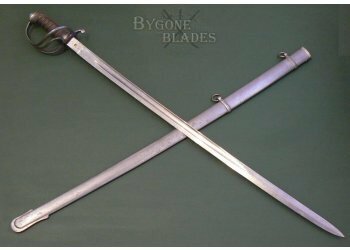 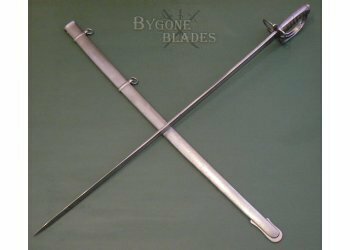 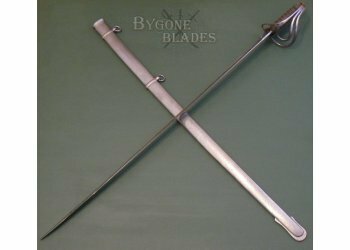 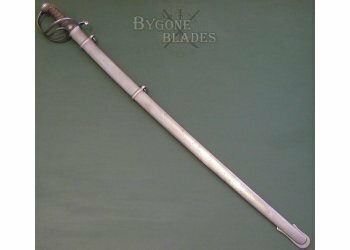 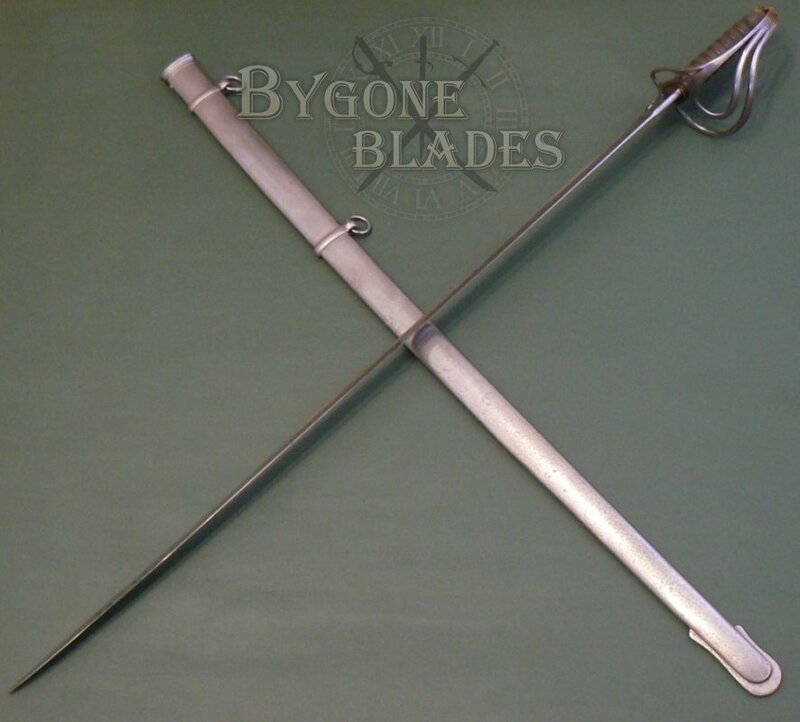 The blade is unadorned, so it was probably a sergeant’s sword, which is also indicated by the shortness of the blade, its length being ideal for combat on foot for defence of the battery. 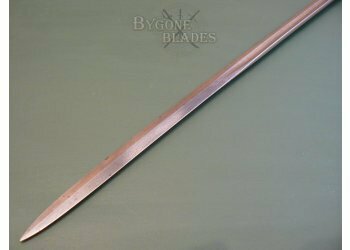 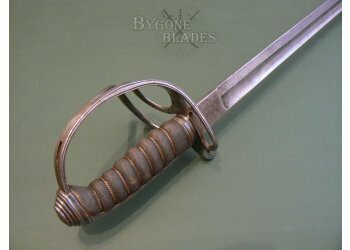 The blade is in good condition with a mild patina and a few spots of darker tarnish. 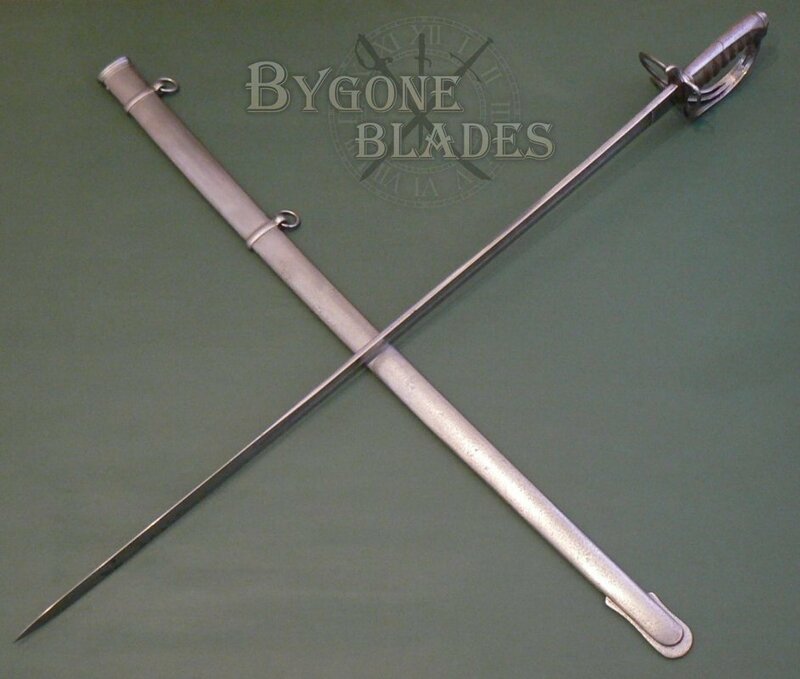 The steel three-bar guard and ray skin grip are in good condition and the twisted copper wire is intact and tight. 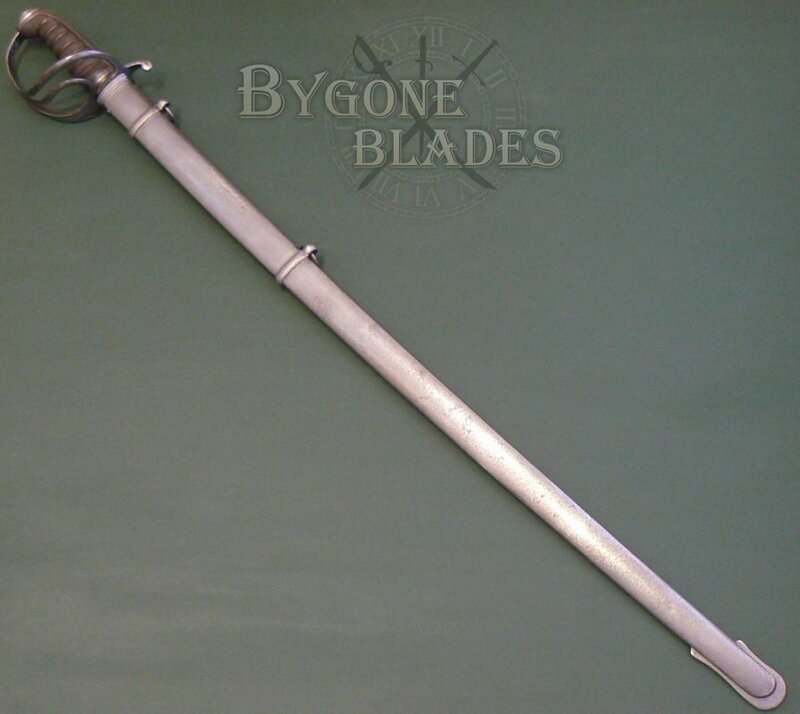 The sword comes in its original steel scabbard. 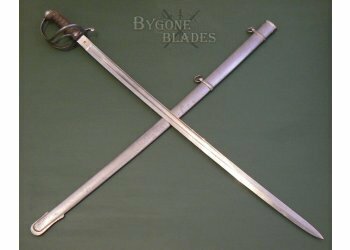 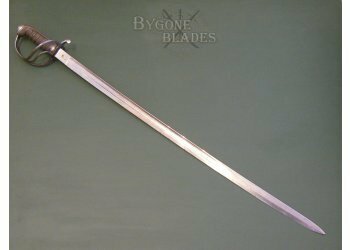 The scabbard has a mild grey patina and some small areas of light pitting. 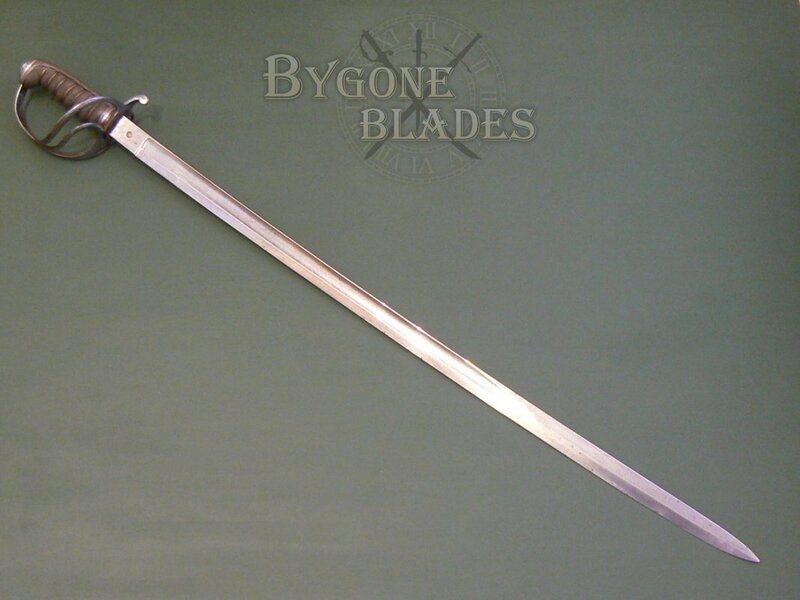 The sword is held firmly within the scabbard. 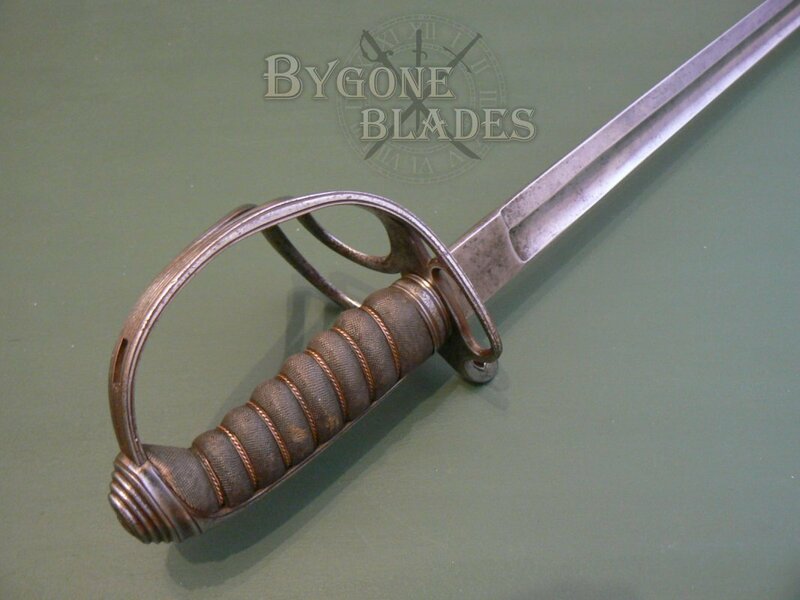 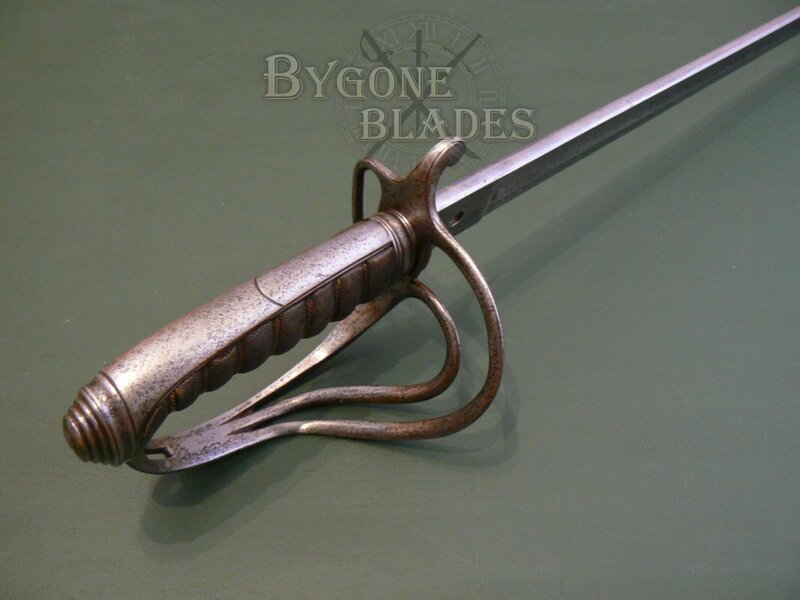 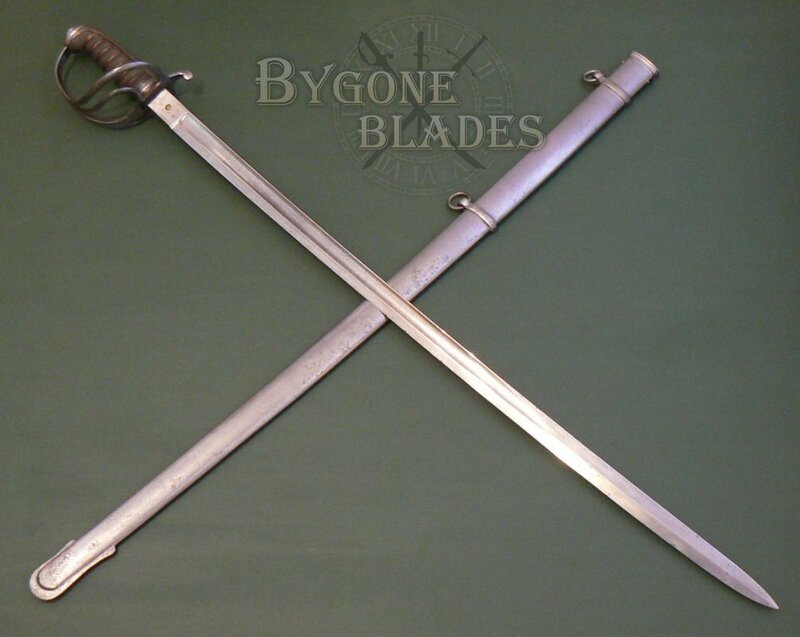 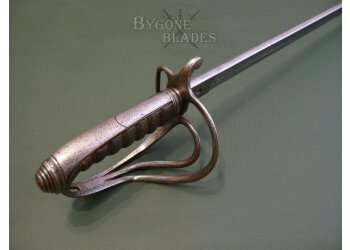 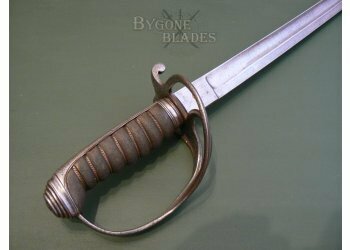 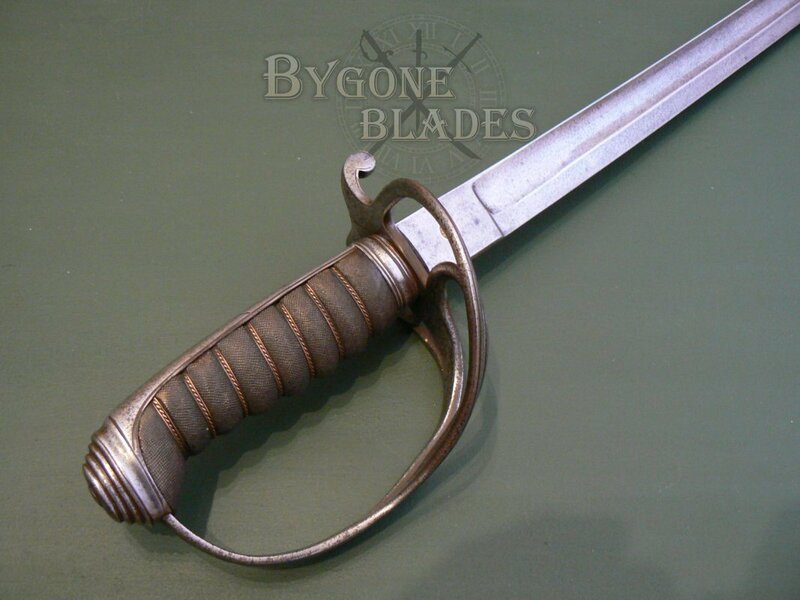 This is a good example of a Victorian Artillery sergeant’s fighting sword.